(WCCO) The owners of B.E.A.R.C.A.T. 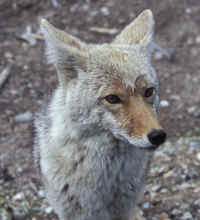 Hollow, near Racine, Minn., have been charged in federal court with conspiring to violate laws pertaining to wildlife. Kenneth Kraft and his wife Nancy were named in a 55-count indictment along with seven other people. The indictment alleges the Krafts illegally bought or sold more than $200,000 worth of endangered or threatened animals between 1999 and 2003, violating interstate provisions of the Endangered Species Act and the Lacey Act. It is illegal to buy or sell animals that have been identified as endangered or threatened under the Endangered Species Act. The Lacey Act makes it illegal to buy or sell endangered or threatened animals with a value of more than $350. It is also illegal to create or submit a false record for any such wildlife. Tigers, grizzly bears and leopards are among the animals the Krafts bought and sold illegally. The indictment said the Krafts advertised their interests on the internet and through a national exotic animal guide. Kenneth Kraft is also charged with tampering with a witness. The indictment alleges Kenneth Kraft instructed a person to tell federal officials the animals the witness had bought from Kraft were donated, not purchased. If convicted on the wildlife charges, the Krafts could each face five years in prison and a $250,000 fine. If Kenneth Kraft is convicted to tampering with a witness, he could face 20 years in prison and a $250,000 fine. B.E.A.R.C.A.T. Hollow stands for Beautiful Endangered And Rare, Conservation And Therapy. The park recently closed.